I asked the combined wisdom of the Friston MTB group and the answers were many and varied. The lovely Kate suggested a saddle which was a great answer because I know a) what a saddle is and b) which saddle I wanted. Practically unheard of for this bike build, I promptly ordered my Selle Italia Gel Flow Diva . Were you going single speed? I have a Middleburn 33t chain ring (barely used), a Velosolo 21t sprocket (unused) and spacers that I’m selling. The chainring is 105bcd so will need the correct sized cranks. These two sentences were literally incomprehensible to me. In my head, I understood that this was in actual fact the english language, however it might as well have been cantonese. With google as my guide, I managed to do a bit of translation…. The ‘t’ in‘33t’ and ‘21t’ actually relates to teeth which are the pointy bits on the outside of the ring, which makes sense if you think about it and the number is how many teeth there are on the outside. Now this is actually really important for a single speed bike as the size of these rings determine your gear ratios. 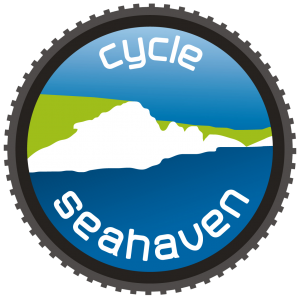 The gear ratio is basically how hard you have to push to get your legs and therefore your bike up to Bo-peep / Eastbourne Lane for example and apparently it’s something that can take a bit of tweaking to get right for you. Ellie’s singlespeed was a ‘32 / 18’, so 32 teeth on the big front ring and 18 on the back one. It seemed to work for me. I made it up the majority of the hills and it was OK on the flat if slightly irritating that it felt like I was pedalling like Billyo and not getting very far. But I was being offered 33 / 21….what difference would that make? Another bit of quick googling showed that it would make a massive difference. 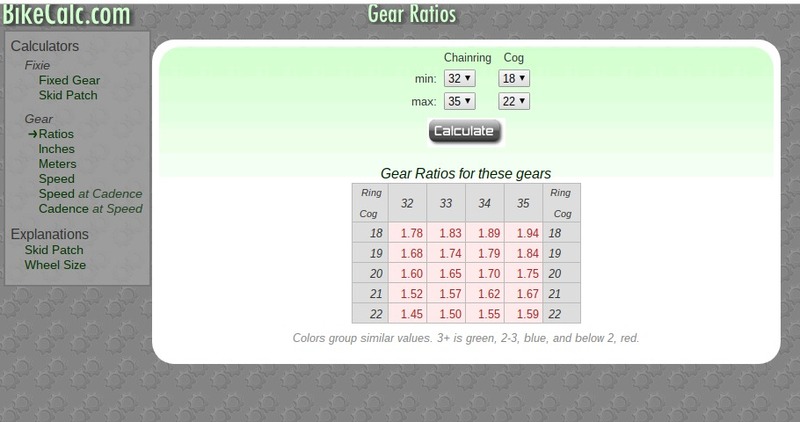 Gear ratio online calculator….brilliant for bike geeks. Including me! The gear ratio for 32 / 18 is 1.78. 33 / 21 is 1.57, so it would be quite a bit easier as the lower that number is, the easier it is to pedal. The gear ratio for a granny gear could be around 40 / 30, so 1.33 to give a bit of perspective if that helps. So the 33 / 19 chain ring / socket set wasn’t for me…. Bcd? 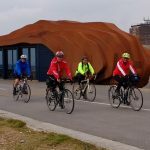 Better cycle daily? Bikes crash dully? Turns out that it stands for Bolt Circle Diameter. In the picture above, it would be the distance between the holes across the middle of the chainring. This is basically the size of the mountings which attach the chainring to the cranks (cranks being the bit that the pedals attach to), so I would need to get the cranks first (or make sure that the cranks I got were compatible with that chainring). Calm once more, I was still keen to get on with doing something, ANYTHING to keep the bike build moving forwards. 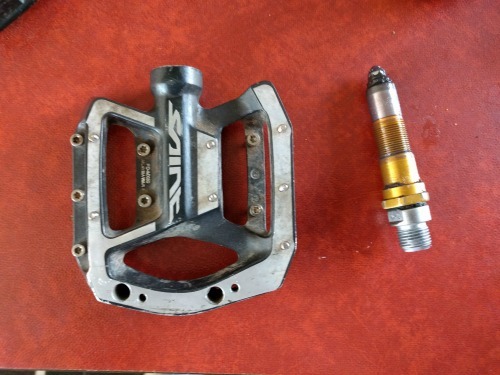 Thankfully, a friend had donated some pedals and brakes which he had spare and was looking to declutter. One of the pedals was stuck, but just needed cleaned and lubed up again to get it moving. How hard could that be? Well, I have to say it would have been easier if we had the right tools. A set of spanners and a vice would have been handy, but we made do with an adjustable spanner, two pairs of hands, an allen key and a cloth to stop the flipping thing moving around all over place. Once again, google and my ‘quick guide to bike maintenance’ book came in handy. 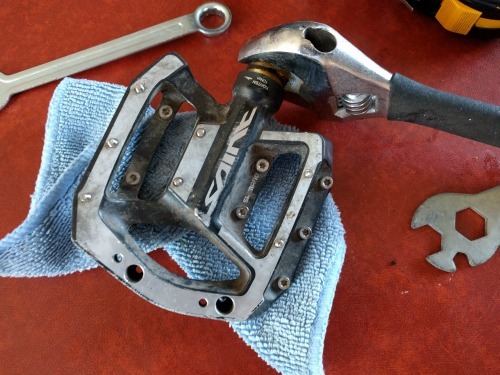 We basically had to take the inner bit out of the pedal, take it all apart, clean it thoroughly, then put it all back together again with a shedload of grease. The old rule ‘righty, tighty, lefty loosen’ rule doesn’t apply to all pedals. It worked for one of mine but not the other and this is apparently correct. The inner core bit has lots of little parts which need ‘fettling’ which is fiddling about with all the little bits as you put them back together until it works. We thought we’d done a pretty good job of cleaning / regreasing, so were a bit disappointed when the dodgy pedal was still stuck. Luckily a passing bike guru (thanks Gus) was able to advise on the fettling element and with a bit more fiddling around we got it unstuck and working. It only took an hour and a half….but another bit of the bike was ready. Success!